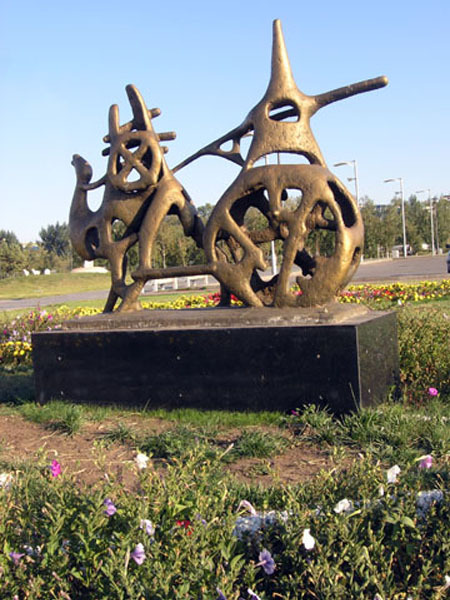 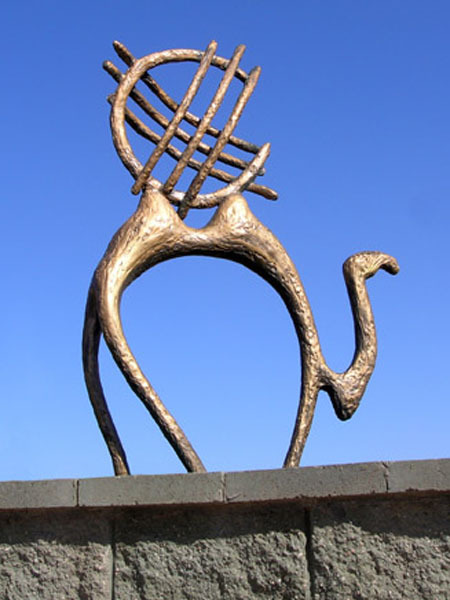 In 2005 a competition “Small architectural forms and a decorative sculpture of Astana city” was held in Astana. 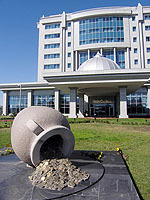 Akimat has chosen the best projects from the presented ones and started their step-by-step realization. 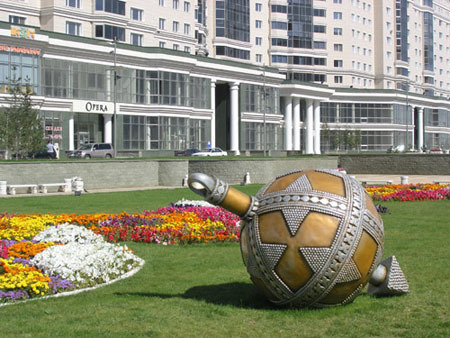 As a result of this initiative, a lot of original and good-looking decorative sculptures showed up at the streets of Astana. 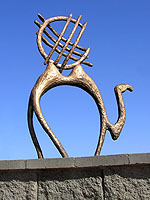 to boulevards and avenues. 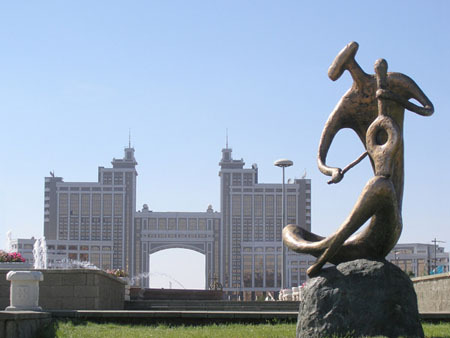 The projects differ from each other but always refer to the same point, representing an attempt “ to deduce Kazakh national cultural identity ” as it is said on the official Astana city's site. 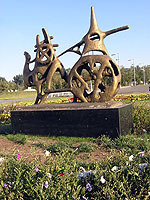 Series of sculptures is called “townspeople”. 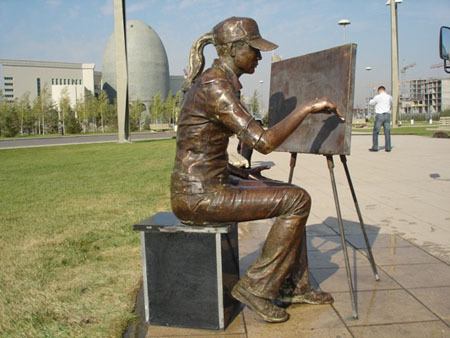 These are sculptures of people “captured” at some work or exercises, like painting girl or a man on the bicycle. 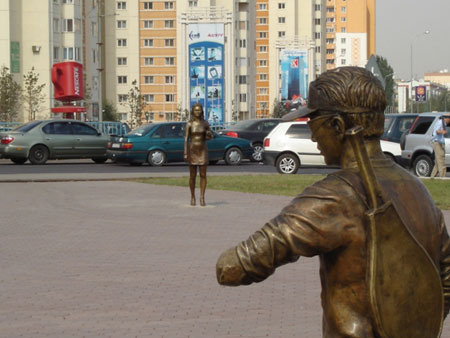 At another composition you'll see a young man looking at his watch and a young girl late for appointment. 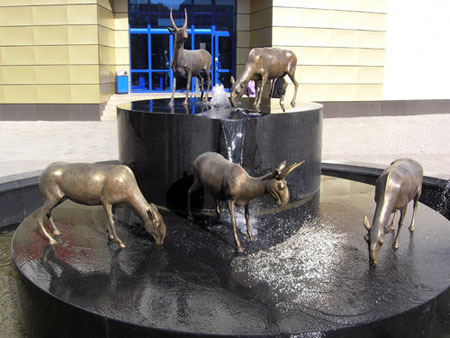 Decorative street -art is a world-wide tendency and Astana now is in the gallery of cities having this fresh look. 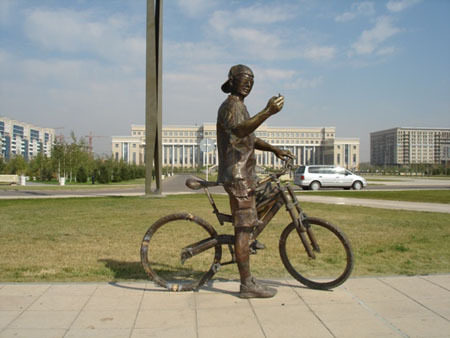 Don't lose your chance to make a nice photo with some of these modern art works! Don't know where to stay in Astana? 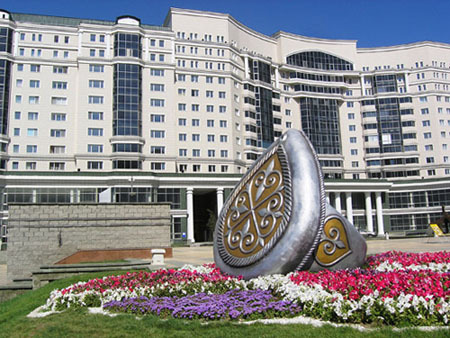 Check Astana Hotels page!